New PawSox president Charles Steinberg retains the title of senior adviser to new Red Sox president Sam Kennedy. Dr. Charles Steinberg, an influential member of the Red Sox front office for 10 years, was named president of Triple A Pawtucket on Thursday. Dan Rea, another Red Sox staffer, has joined the PawSox as senior vice president and general manager. A third Red Sox official, Jeff White, was named Pawtucket’s treasurer. With the Red Sox, Steinberg was an executive vice president and senior adviser to former team president and CEO Larry Lucchino. Rea was a special assistant under Lucchino and White was Lucchino’s chief financial adviser. Lucchino is Pawtucket’s principal owner and CEO, having purchased controlling interest in the team in February. Lucchino brought Steinberg to the Red Sox in 2002 as vice president of public affairs. He was with the team until 2007, when he joined the Los Angeles Dodgers as executive vice president of marketing and public relations. In 2010, Steinberg joined Major League Baseball as a senior adviser to commissioner Bud Selig. Steinberg returned to the Red Sox before the 2012 season. Steinberg got his start in baseball with the Baltimore Orioles as a 17-year-old intern. He was with his hometown team for 19 years, meeting Lucchino in 1979. Steinberg left the Orioles with Lucchino in 1995 to join the San Diego Padres as executive vice president of public affairs. With the Red Sox, Steinberg was involved primarily with community outreach, marketing, and communications. He also orchestrated pregame ceremonies. Steinberg retains the title of senior adviser to new Red Sox president Sam Kennedy. But the focus of his duties will be with Pawtucket. Rea worked 10 years for the Red Sox, starting out as a Fenway Park ambassador during his freshman year at Harvard. White joined the Red Sox in 2002. In February, Lucchino and his partners announced their intention to build a new stadium in Providence. Governmental hurdles scuttled that plan, and the team is now seeking a new site in New England, with a preference of staying in Rhode Island. 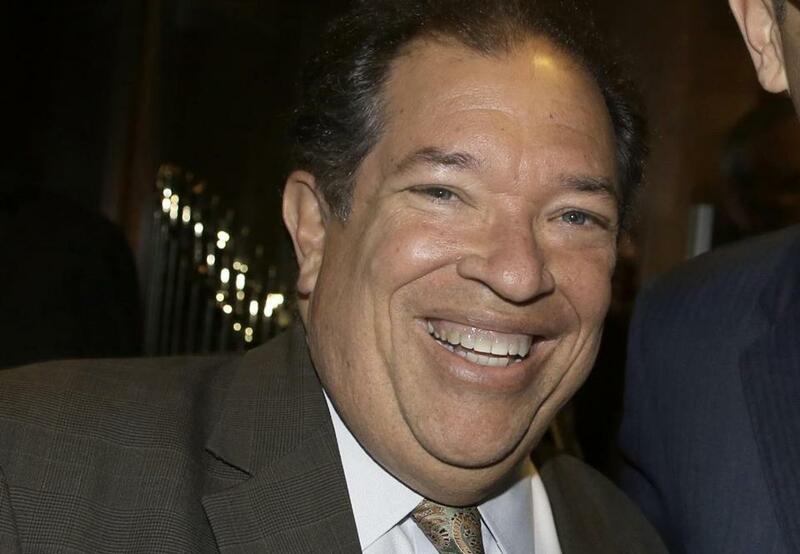 Paw Sox CEO Mike Tamburro is remaining with the franchise as vice chairman. He has been with the franchise for 42 years. The Red Sox also announced some staff changes. David Beetson was named senior vice president of strategic planning and senior counsel to Kennedy. Tim Zue was appointed senior vice president of finance, strategy, and analytics. Naomi Calder was named vice president of ticket services and operations. Katie Haas was promoted to vice president of Florida business operations. Pam Kenn was promoted to vice president of community, alumni, and player relations. Marcita Thompson was named vice president of Fenway Park tours.